How can you improve your collaborative arrangements? The education landscape continues to evolve rapidly, and central to the Government’s reforms is the creation of an effective, self sustaining system with school leaders driving improvement and raising standards. Collaboration amongst schools is certainly not new, but the range of matters they have to collaborate on and the importance of collaboration to the success of their learning community has changed significantly. This means that formal solutions like collaboration companies are becoming more popular. Increasingly, teaching school alliances are also adopting this model as a means of formalising their alliances. 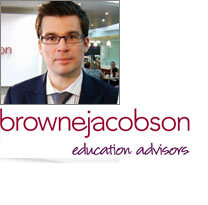 Nick MacKenzie from education law experts Browne Jacobson considers the impact of the reform agenda on school collaboration and demonstrates how you can use a collaboration company to deliver efffective collaboration in your learning community.